Step 1: you need to download the APK of the application from Malavida. Once downloaded to your smartphone, go to the download folder or open it from the notifications tray. Step 2: on some phones you’ll need to authorize the installation of applications from unknown sources to do so but in the most recent versions of Android this option is exceptionally offered each time we install and APK. In other words, only for the app that we’re installing at that precise moment. Step 3: the next thing to do is press the installation button and wait for the process to finish. Step 4: finally, we’ll be asked if we want to get rid of the APK file. You should do so to save storage space on your phone. As you’ve probably realized, this application isn’t installed like the rest of apps that we can find on Google Play. 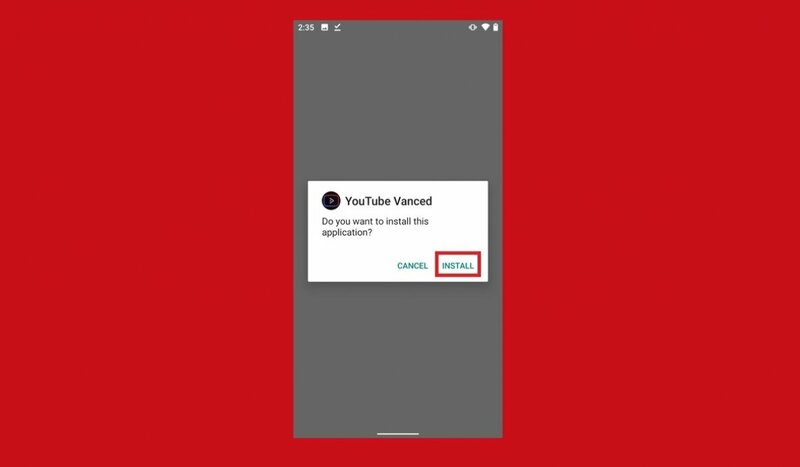 This application is forbidden by the official Android marketplace because it allows us to block adverts on YouTube, which are Google’s main source for income on this service. That goes against the rules to publish software for developers, and therefore, we can’t download it from this platform. As an alternative, you can resort to Malavida where we offer you the latest version of the app that you can download easily in APK format. YouTube Vanced offers us other interesting functions to watch videos on YouTube other than blocking adverts. For instance, we can play videos in the background or zoom into them when playing, although that will depend on the quality of the recording.